It’s hard to believe, but this Florida native had never been to Disney World’s Animal Kingdom. Well, I was finally able to fix that and spent the day wandering around one of the largest animal theme parks in the world. When I was a kid, my family often drove up to Orlando during the summers to spend some time at Disney World. Most of the time we only went to Magic Kingdom, Epcot, or MGM (now called Hollywood Studios). So when a friend of mine was coming to visit and suggested we go to Animal Kingdom, I was super excited to finally be able to go and see it for myself. We got there right as they opened and headed straight to Kilimanjaro Safari. If you only get one thing out of this post, let it be this: Go to the safari as soon as you get to the park. It’s one of their most popular attractions so the lines get ridiculously long (so my friend tells me). We walked straight through and maybe had to wait 5 minutes. Plus, because of the Florida heat, the earlier you go the more likely you are to see animals wandering around. We saw a lot of animals, more than any other time my friend had gone on the safari. Even the driver of the vehicle mentioned how lucky we were to see so many animals. After the safari, there are many different routes you can take. If you’re a thrill seeker and want to get on the park’s newest ride, Expedition Everest, I would suggest heading there pretty early as well. You’ll also want to keep track of the time. There are a lot of great shows so you want to give yourself ample time to get get in line before the show start time. For the Finding Nemo musical, the line was forming over half an hour before the show was supposed to begin. The lines are worth it though. We also went to Festival of the Lion King and It’s Tough to be a Bug! and both shows were really great. The music, the costumes, the props. It was all so cool! I mean, it’s Disney after all, so that shouldn’t really be a surprise. But of course, the main reason to go to Animal Kingdom is to see the animals. I loved that there were different trails and paths to take to see all kinds of animals. From snakes, to birds, to tigers, Animal Kingdom has it all. I really enjoyed my day at Animal Kingdom. I was so happy that I was finally able to visit the park and that I was able to see as many animals as I did! I’ve never been to Disney World’s Animal Kingdom. Looks like a combination between a zoo and a theme park. I’m sure it’s a great place for families with small children. I haven’t been to it, and after seeing many animals in their natural habitat I guess it’s not a place I would choose now. But I guess it’s a very good option to see the animals you wouldn’t have been able to see otherwise. Hi Monika! I thought the same thing. But I actually saw more animals here than I did on a South African safari, so I was really surprised! We’ve not been to Florida or the Animal Kingdom. I’d heard of it but thought it was all Disney animation not real animals 🙂 Looks like they’ve got a great selection of wildlife. Wow! You got some great photos. I’ve been to Animal Kingdom about 1000 times and I can confirm that you did indeed luck out seeing all of those animals. Animal Kindgodn seems interesting. Perfect with kids, still great without. I haven’t experienced it myself, but I will consider it it future. It looks like fun thing to do! I’m a big kid, so I enjoy these types of things. But I think any adult would be able to appreciate the animals, shows, and great food. Haven’t been to Disney’s Animal Kingdom but Kilimanjaro Safari certainly looks like my kind of place, until I can afford to go to Tanzania or Kenya or South Africa for their safari, haha! Still, I’d love the convenience of a theme park and I like the fact that there are indoor shows as well – perfect time to escape the afternoon heat as well, I guess? Animal Kingdom sounds as awesome now as it did decades ago when I last visited. I think our children would really love this place. I’m sure they would Christina! How were the conditions of the place? I generally don’t like seeing animals in captivity but I also do understand that some places treat the animals really well and some of them are better off in these places. The shows look like great fun though! Hi Anna, I know that is a major concern for everyone. 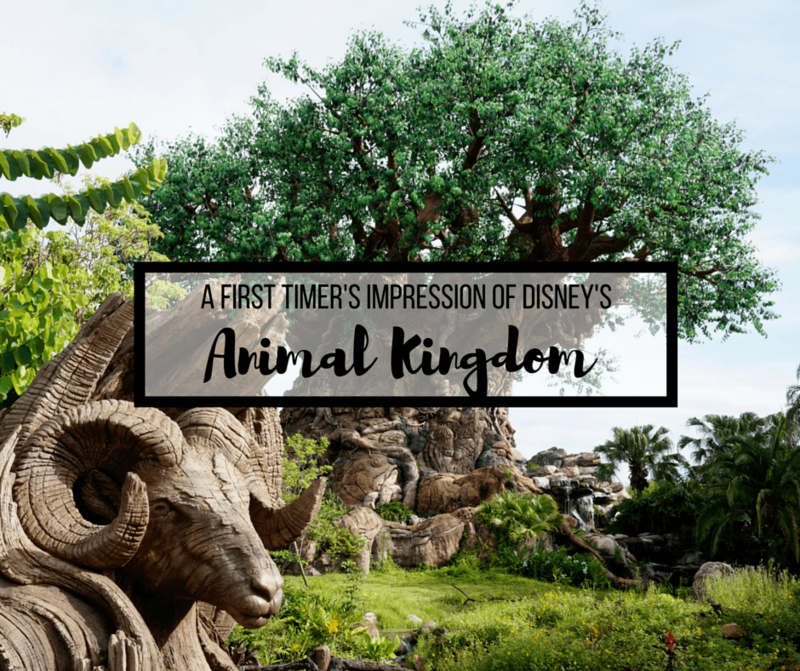 The animals looked well cared for to me, and I know the park emphasizes education so I felt like the park was doing a good job in caring for the animals. I never made it to Animal Kingdom while living in Florida. It was never every high on my list. It does look like a lot of fun but I am not a huge zoo person plus epcot is my favorite park. I can understand that. Magic Kingdom is my personal favorite. But I think everyone should go at least once. Besides the animals, the shows really are pretty amazing.